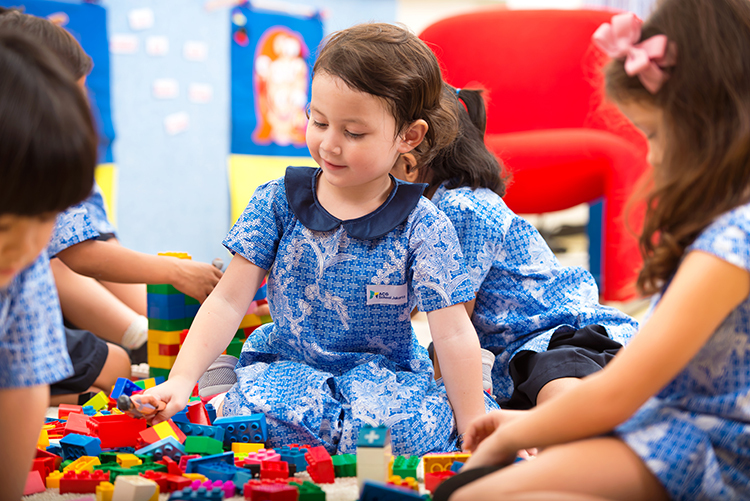 Our Kindergarten programme, for students aged two to five, lays the foundation for our Primary school. 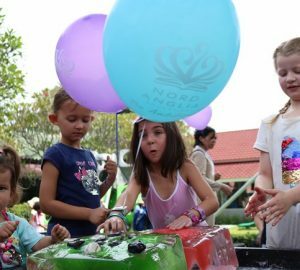 Students in Kindergarten are provided with a wide range of experiences to help them learn about the world around them. The experiences students engage in allow them to explore concepts and ideas through play, inquiry, and cooperation with others. Our Kindergarten programme focuses on supporting children to achieve their full potential by developing social skills, self-awareness and respect, emotional skills, independence, and early language, literacy, and numeracy skills. It also focuses on developing self-esteem and confidence that will help your child prepare for Primary school. 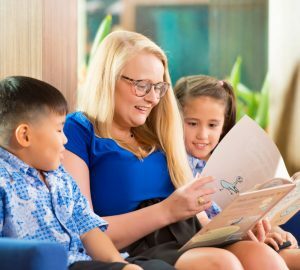 We believe that children learn English best through immersion, therefore, students are taught in English and encouraged to speak in English with their teachers and peers. Research shows that language immersion is the single most effective method for learning a new language, particularly with younger children. The physical environment supports learning in a variety of ways. The size and arrangement of classroom furniture is age-appropriate and designed with safety in mind. In addition, there are specific areas within and outside of the classroom, such as dramatic play and art areas, that are established to guide children in their play. We believe that using open-ended materials supports individual and social play; stimulates imagination and inquiry; and encourages natural exploration of a child’s environment. In order to provide a comfortable environment that promotes responsible use of classroom resources, we introduce learning materials gradually and in a progressive sequence. Our caring, experienced teachers and assistants give children from the ages of two to five the best possible start to learning, with activities that capture their natural curiosity and sense of wonder. Our core subjects are complemented by specialist classes like physical education, swimming, art, and music – all delivered in a warm and nurturing learning environment. 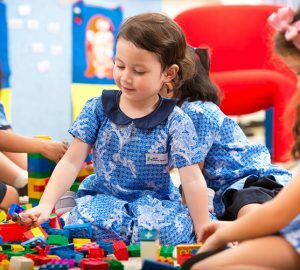 At Kindergarten 2 our students follow a play-based programme designed to spark their curiosity and develop a lifelong love of learning. Alongside social, emotional and group work skills; self-awareness and respect; and language, early literacy and numeracy skills, this year of learning helps our two-year-olds get familiar with school life and transition smoothly into further years of education. Becoming a Student for a Day is the best way to get a feel for life at ACG School Jakarta. Experience first-hand our welcoming and supportive environment, and see what sets us apart from other schools. Book your place Student for a Day runs at any time of the school year – book your child’s place and let us know their details so we can prepare a day just for them. Book your child’s place now by emailing us at acgjkt@acgedu.com or calling +62 2978 0200.